Hilton Hotels Corporation presently known as the Hilton Worldwide is an international hospitality company, which is owned, managed, and controlled by Blackstone Groups. The company owns about 3897 hotels having 642000 rooms and these are located across 91 countries. It on the 38th position among private companies in U.S and it manages a number of brands, which include Conrad Hotels, Hampton Inn, Hilton Garden Inn, Hilton Grand Vacations, many more. 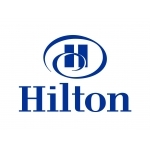 This company was established in the year 1919, which operates many hotels under the name of Hilton. Most of the Hilton's properties are franchised to different independent operator as well as companies. There are currently 0 consumer reviews about Hilton Hotels Corporation available. Share your review. Please take a note that you are about to post a public review about Hilton Hotels Corporation corporate office on CorporateOffice.com. This review will be public, so please do not post any of your personal information on this website. If you would like to contact the corporate offices of Hilton Hotels Corporation, please use their contact information such as their phone number, website, and address listed above to contact them. However, sometimes staff from Hilton Hotels Corporation headquarters do read the reviews on this website.